Reading this book made us feel like we were back in high school. In other words, we were anxious and depressed. Just to clarify: We actually do like teenagers. 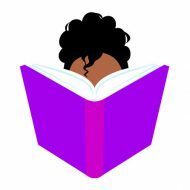 This year, I aim to read 48 books, with the majority of that number written by black women.